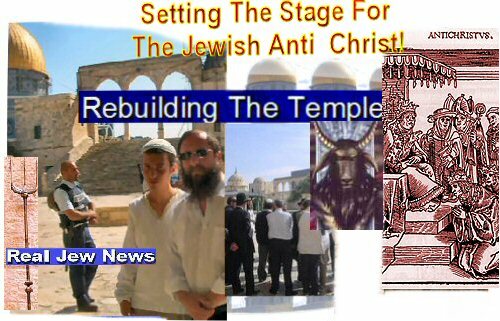 Judaism Articles, Stop The Jews From Rebuilding The Temple! ~ The Temple Institute has already completed such Temple furniture as the Menorah; the Incense Altar; the Table of the Showbread; and the Priest’s Cup which collects the blood of the red heifer. 2. The Temple Mount Studies: An “educational” propagandizing Israeli enterprise dedicated to disseminating historical and archaeological justifications for the rebuilding of the Temple. 3. The Temple Mount Studies: Their stated goal is “the building of the Third Temple in our lifetime in accordance with the Hebrew prophets.” (I will refute this below). I was raised as a Jew. I grew up on the Old Testament readings that are read every Sabbath morning. The Zionists try to justify the rebuilding of the Temple by pointing to the prophet Ezekiel’s vision of the 3rd Temple as outlined in Chapters 40-48 of his writings. But this is ridiculous. First of all, St Gregory the Great, in his Homilies On Ezekiel, points out that at the very outset of Ezekiel Chapter 40 the reading evinces a *figurative* image of the Church, citing the opening phase, ‘as it were’ a city. He then observes that Ezekiel’s measurements of the Wall encircling the Temple are actually much smaller than the Temple measurements themselves! * In Ezekiel’s vision of the Temple there is *no* Menorah. This is because Jesus Christ the Jewish Messiah is the Light of the World. * In Ezekiel’s vision there is *no* Brazen Sea for the priests to wash in. This is because New Testament Baptism supercedes the washings of the Old Testament in so far as Christian Baptism confers a universal priesthood on all alike. * In Ezekiel’s vision there is *no* Veil. This is because Christ tore the Old Testament veil in two opening the way into the Holy of Holies for all members of the Church. * In Ezekiel’s vision there is *no* Ark. This is because the Presence of God is no longer confined to the Temple but His Presence is in holy Christian temples throughout the world. It should also be noted that the Jews have lost all genealogies of their former Aaronic & Levitical priesthood. Thus their “temple worship” will be a fraud. Any Jew can come along and claim to be a “Kohan” (priest) but he cannot prove it! For in the Old Testament Book of Ezra if a Jew returning from the Babylonian captivity could not show proof of his claim to the priesthood he was expelled from ministering in the Temple. We as Christians must do all in our power to prevent the rebuilding of the Temple. For if it were up to the Jews they would force us all to have imprinted on our foreheads the mark of the beast, 666. And this is the mark of the Jewish Anti-Christ! So many Christians I know will not act to stop events leading toward a One World. “It is part of God’s plan,” they say. Help me with the words and Scriptures please? Why should we let Jews rebuild the temple when they have practically rebuit temples in every judicial hall on the continent of North America. Those less hegemonic Jews may get all my love and blessings in whatever pursuits they may have. However, those Jews who attempt to creep into every judicial spot in this continent and who may be partners in the subjugation of this continent and its peoples, should be given no such freedoms in the 21st century until they are put on probation. With this, then make them put the municipalities, and other federal arrangements they have in a victim’s compensation fund, so that those who have resisted their order can prosper and succeed in the 21st century, without their attempt to unipolarize society. Same goes for the corporate elites of other orders such as British Common Law and the various knight orders that Bush’s people are affiliated with. Their stranglehold on the economy of anyone who will not conform to them should be eradicated from this continent. The God of our fathers could refer to his Christian heritage as much if not more than his Jewish heritage. you’re still looking at it from a “Jewish perspective” brother Nat. The temple is more likely the Vatican, head of One Billion catholics and growing. Notice Blair and Bush scrambling to become Catholic. Bush’s brother has already converted. Blair has at the same time come out saying he has been working to unite all religions for decades and that is his dream — presumeably he will think he also deserves to be its head, or is he still bucking for head of the EU, maybe both. I think it will be a big ask to expect the world’s Christians to be so deceived as to follow a Jew in a Jewish temple. That is what you are saying and no one outside evangelical circles believes it. Look, we all know 9/11 was an inside job. We know that not only our government implemented the acts as a way of restricting our freedoms. But to blame jews as a blanket, all encompassing evil is wrong on so many levels, it’s a ridiculous joke. Israel is being controlled by the thirteenth tribe. The tribe of Dan is in control (for those who don’t know, they were expelled from the rest of the twelve tribes because of serpent worship) and they are the ones instituting the “one world government”. Just like ninety-five percent of Freemasons have no idea what the five percent is really doing, the same can be said of the Jewish nation. The tribe of Dan is still worshiping a false god, and forcing it on the rest of the world. it is in everything from games to saturday morning cartoons. Get over your inherent racism, Jesus was a Jew. He wasn’t a skinny hippie looking white boy who worshiped in the same way the Catholics or Baptists do. He followed and truly enforced true Hebrew customs (all except the worship of God strictly being in a synagogue) and was raised in Hebrew custom. The traditions you follow are handed down to you from truly pagan Roman and Babylonian customs (i.e. Easter is worship of Ishtar, Christmas is the yule celebration passed down and changed to convert druids during the winter solstice); St. Paul was a heretic, Peter was a Roman control freak. I welcome the anti-christ, hoping he’ll hurry the frack up and get the ball rolling, simply because the sooner he takes over, the sooner Yeshua (His hebrew name) will return and take control from him. Bring it on, I’m tired of waiting. But to discount Jews as a whole is ignoring the Scripture proclaiming that in these last days, many will come to Him and proclaim him Lord. Their eyes will be opened and they will see the truth. Do you really think you will see the kingdom with racist crap being spewed on this and many other pages? “for none are worthy, no, not one.” That includes you guys too. Mind you, I am not saying to convert to Judaism, but be mindful of those you condemn, because you are no more worthy than those who worship the shaitan and moloch. So far, I have read and pondered all this blog has had to say for a couple of months and all I see are a bunch of xenophobic, racist hateful remarks trying to say we can stop something GOD has set in motion. Who do you think you are, to stop the ineffable plan, laid out before we were conceived in our mother’s womb? How arrogant you are. if He were to appear to you and show you His wounds and tell you he was a Jew, would you believe him, or would you go on hating Jews the way you do? When did the cohen lines get permanently broken as you say? The Romans destroyed the Second Temple and where did the Cohen connections get lost from there? How do you know some Cohens aren’t really just that? You mean Aaron has no living descendants? Who was the antecedent of Jesus at the time of Moses and Aaron? In the Abraham to David part of the list? Was St. John the Baptist the last descendant of Aaron? I think this is correct up to David? Aaron’s not in there. But St. John the Baptist and Jesus were supposedly cousins. A genealogy of St. John the Baptist would include Aaron I’m told. He was the last of the Mohicans? Where is the time of Aaron from Abraham to David in Jesus’s genealogy if what I have there is correct? Luke has Admin and Arni where Matthew just has Ram in between Amminadab and Hezron. Could Ram be related to a Ramses? Unrelated to this do know the chances you’ve breathed in and oxygen molecule that Julius Caesar breathed in as well are quite high? How do you stop one from converting to Judaism? Talking points, please? Will the mark of the beast be numbers or the six point star of Rephim? Godspeak Ark has a Hebrew version of Revelations (G-d forbid) and the Hebrew word translated “beast” is also translated “life” as in tree of life in BRASYT(Genesis) Obviously US’ns are headed for further revelations. How else are the temple-sect that killed Jesus going to make the Arabs continue to explode if they don’t again assault the rockpile? Or at least threaten? Charon assaulted the Dome of the Rock in Sept. ‘00 right before Bush II ascended. He did it because in ‘94 the Israeli PM shook hands with Arafat and agreed to give the Palestinians some of Palestine and allow the UN to protect the rockpile for all. Likudniks allowed Charon to lead 1000 armed policemen to the dome and entered without taking off his shoes! 16 Moslems were shot for getting stupid that day. History will point to who profited the most from explosions in Moscow, Jerusalem and then New York. CIA, KGB, Mossad, the Moslem Intelligence Service. Is anyone interested in discussing the possibility that the temple-sect that co-operated with the Empire of the day to kill Jesus is connected with the sect desiring-planning to continue the sacrifices of doves and lambs with all white hair or feathers and working with a red-heifer ranch in Mississippi to create what is needed to “cleanse” the temple (vaporized bovine)? The Building or destruction as you may see it has already begun … Most people are deceived that the Dome of the Rock is the Temple of Solomon but it is actually the Al Aqsa mosque and for the last 2 years digging projects have already begun. BEWARE children of old Israel. Already if you are Jewish you can opt for micro chip as some have already done at Mt Sinai hospital. The last 2 prophets will be Gentiles of loins of Judah [originally because they are olive trees -giving the good oil & menoras-giving enlightenment, but now non practicing]. They will be Christian as they are no longer in ashes, only in sackcloth for the suffering that is to come on their family but having the forgiveness & authority of Yeshua for 1260 days [Rev11] what harm is wished on them will return to their perpetrators to the point of death. See comment on ‘anti Christ is Jewish.’ I was 40 yrs in wilderness so there is still time but not much. Muslim cousins see Quran 3.55. Your prophet recognised Yeshua’s fullfillment of prophecy. New temple is coming but the old one has not yet fully destroyed still some stone on stone. I do understand also that you believe the culprits are of the Tribe of Dan and I would ask for proof, but what is so prevalent is that the most evident problem is the Ashkenazi Zionist-pledging Jew. These people are strictly European in their bloodline, deriving from Russia, Poland, the Czech Republic and the like. This is the problem: Everything the Zionist-leaning Ashkenazi does is a lie and a choice of free will, as they have no connection whatsoever to the true bloodline and are therefore wholly a lie, a complete farce. So while I may applaud what you said concerning racism, that we cannot change prophecy and should not attempt to change prophecy, there are lines of gray that most people have missed and have not concluded and are totally misunderstanding the true nature of the Jew, the Zionist Jew. Not that we should lay down and not protest of their ungodly actions, but that we should know that the Creator is in control and that our hands should be wiped clean of any blood that is spouted by this evil entity. But we are all implicated by the mere fact that we are living in these United States of America and paying taxes to them and working for them. Hence, we are all guilty of perpetuating this error by believing in our leaders and by unquestioning allegiance to our country. How sad, yes? We are guilty of allowing this monstricty to occur. So what do we do now? Pray and ask for forgiveness as that is all that can be done. Another know-nothing disinfo shill spouting useless garbage - his blasphemous crap should be deleted. If I am not mistaken, the Levite priesthood got defiled and became unfaithful and was to be degraded, only to be allocated certain tasks in the millennium is to be left in their hands - Ezekiel 44:10-14. I believe the legitimate priesthood line is in the sons of Zadok priest see Eze 40:46, 43:19, 44:15, 48:12 which John the Baptist was from. 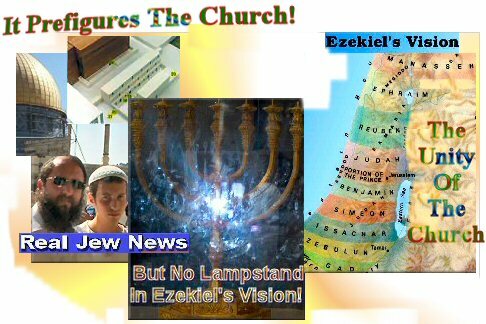 Also the temple that is to be rebuilt is not Ezekiel’s temple but a model off the 2nd temple of Zerubabbel (if I’m not mistaken) which will be destroyed and desecrated Revelation 17:18. So the temple that illuminati/Rockefeller and Freemasons want to build is the temple of Rev 11 (the abomination that causes desolation) and Daniel 9:2, Matt 24.
but anyway Ezekiel’s temple (if im not mistaken) is to be built by the Messiah Lord Jesus Christ during the millennium see Zech 6:12-13. Is not the LORD GOD the GOD of ISRAEL, and did he not promise the land for an eternal possession to the descendants of ABRAHAM? I hate how people generalize and group those who stand for Israel as Zionist. How would you feel if I look at only certain segments of CHRISTIANTY like Al Sharpton, Jesse Jackson, Jeremiah Wright, Don Stewart, Peter Popoff, Bill Gothard, Benny Hinn, Pat Robertson, Jehovah Witnesses, Mormons, JIMMY SWAGGART, JIM BAKKER, RAY BOLTZ, MARVIN GORMAN, TED HAGGARD, etc and GENERALIZE AND SAY These people define Christianity. I bet alot of Christians would get defensive. There are those of us who THINK God’s done with Israel, and then there are those that see the LORD GOD faithfulness by reestablishing Israel. And if you are so-called Christians you sure are not doing what’s written in Psalm 122, Psalm 137, Daniel prayed for Jerusalem. Jesus our Savior even wept over the city. “JESUS WEPT.” In verse 5 we read that, “Jesus loved Martha, and her sister (Mary), and Lazarus,” later on in verse 21 we are told that Lazarus had died. Our LORD Jesus Christ was moved (see verse 33) in seeing Mary and the Jews weeping, therefore, in His compassion and love, He groaned in His Spirit, thus the account that “Jesus Wept”. The only other time in recorded Scripture that we find our LORD Jesus Christ weeping is found in The Gospel according to Luke, chapter 19, verse 41, as He beheld the City (Jerusalem). 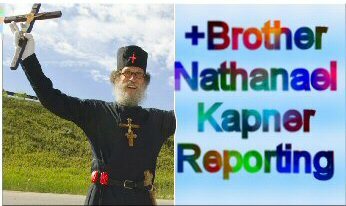 And Brother Nathanael, I mean this all respect, what makes you think you can stop what has already been set in motion? On a positive note, I dig you website and the content, but there is alot of anti-semitic remarks and half truths. Remember its easy to point fingers but realize you also got 3 pointing back at you. I’m very glad you are exposing the lies but remember to keep your eyes focused on Our LORD JESUS CHRIST. Try not to be a Peter. I MEAN COME ON LORD JESUS CHRIST WAS IN A CONSPIRACY BY NONE OTHER THAN HIS OWN PEOPLE. POLITICAL ZIONISTS ARE LIKE MODERN DAY PHARISEES WITH A LOT MORE POWER AND INFLUENCE IN THIS WORLD. A LOT HAVE SOLD THERE SOUL TO SATAN. and yes there is biblical proof you can sell you soul. Peace love and righteousness. I hope to meet you all one day IN ETERNAL PARADISE those that are truly born again and trust LORD JESUS (YESHUA) CHRIST as their PERSONAL SAVIOR. Be ready be prepared, we are witnessing history in the making. Exciting times we are living in. Praise GOD. Isn’t it true that the last attempted building of the temple during the reign of Julian the Apostate, that fire/lightning from God came down from Heaven? That it estroyed the work and killing many of the Jews that were participating in the rebuilding and/or who had financed it/donated to Julian’s attempt and endorsement of the rebuilding, and that those who survived found great crosses emblazoned on their clothes that could not be washed out? I know the Rev. Leo Haydock’s footnotes on the Douay-Rheims Bible carries information on this. Butler’s is supposed to relay this story as well, but I cannot recall which saint’s life it is related under. The Vatican has been taken over by Judaeo-Masons starting with the reign of antipope Roncalli/the so-called “good” ‘pope’ John 23, a freemason initiated into the Rosicrucians while in Turkey in the 1920s, all documented in Piers Compton’s book The Broken Cross. Montini (Paul 6) and Wojtyla (John Paul II) are most likely marranos who were phoney Catholics but really Jews parading as Catholics. Luciani and the current antipope Benedict/Ratzinger have not necessarily been exposed as having been of Jewish heritage; however it is most likely that Luciani/John Paul I was murdered for not going along with the P2 lodge’s plans for the Vatican Bank, as documented in David Yallop’s book In God’s Name. Ratzinger denied the Real Presence and other essential Catholic dogmas before his ‘election’ therefore making him, in the very least, canonically ineligible to sit in the Chair of Peter. Subsequent photos of him show him giving many masonic handshakes to prominent members of the world community, making his masonic membership, and the fact that he continues the Vatican II destruction of the once Catholic church, a very probable reality. On this Good Friday I turned my browser towards Israel and particularly the area in and around the Temple Mount to see what might be going on. As I saw a picture of the rock upon which it is said Abraham was about to sacrifice his son it came to me what Jesus said: “Upon this rock I will build my church…” and that it would therefore be blasphemous to wish for or aid in the reconstruction of a physical Third Temple. Jesus has made it clear that the rock is not that rock or any physical rock. He has already dedicated HIS church. I went looking for confirmation and found this site. Thanks. I enjoyed several of your videos and will return soon. The “real” Temple is the Lord Jesus Christ, not the “graven image” being built by the Zionists. God dwells in His born from above people by His Holy Spirit. The Israel/Jew in heart are those who know God the Father through faith in the Savior/Lord Son of God. We are one, both Jew and Goyim/non racial Jew, through and in Christ Jesus. So, the Body of Christ around the world is the temple of God’s Holy Spirit dwelling now and until Jesus comes back for us. What the earthly family of Jews (descendants of Jacob) do with Jesus as their Messiah determines their common present and future relationship with God the Father and Messiah Jesus Christ. A new temple building and reinstatement of the O.T. ritual system is a rejection afresh of Jesus Christ as the Suffering Servant who died for our sins and is risen to God the Father. I feel love for the Jewish people as those whom God used to bring His Son to the earth. I pray for their peace with God. And, I greatly respect their desire to be leaders and helpers for the good of all mankind. I greatly appreciate the information being provided by Bro. Nathanael. I don’t have time to research much of it but some people including those named will look carefully into its total factuality and conclusions. Thanks for this body of information. May the Lord bless you. Please make a video of the attempts how the Jews kepted on failing to rebuild temple, especially in 363AD !. I’m Greek from Montreal Canada Park Ex. KEEP UP THE GREAT WORK, BROTHER! You are gaining popularity in Canada! I was going over some of the oldies here and really like this one. This gets to the heart of the Jewish deception, the Judaizing of the Church. It is good to see brethren with their lamps burning. I don’t think we can stop this. The Bible says it will happen. We need to put our efforts to seeing our loved ones and the world saved. Or, at the very least, informed. The Lord will be victorious whether we stop the rebuilding of the temple or not. From the locating of a descendent of Aaron, to producing a real red heifer, the Lord is in control of every detail. You are a heralder! Who keeps us looking and watching and Praying! We all need to treat peoples like Jesus did. The temple cannot be stopped, but repentance can lessen the impact of the anti-Christ by the Grace of God. We as Christians must do all in our power to prevent the rebuilding of the Temple!? Rather we should rejoice at the fulfillment of the word of God! Would you war against GOD? And you would be successful? There are many scientific papers recently made available through the use of hi-tech imaging machinery which describe new information and understanding of the long-hidden ‘insulae’ of the human brain. These long-misunderstood lobes of the brain compare very closely in both form and function with the Hebrew ‘leb’ or ‘lebab’ (Psalm 51:10, for instance) as well as with the geography of ancient Jerusalem and its governing/moral functions. They handle ‘moral’ ‘emotivations’, such as ‘love–hate,’ ‘lust–disgust,’ ‘guilt–at-one-ment,’ ‘pride–humility,’ ‘trust–distrust’ ….’ and, also, ‘mirror neurons’ which enable humans to ‘become’ (in character) what they ‘behold’…. In short, there is now a whole new ‘angle’ to consider when interpreting the ultimate meaning of all those ‘Old’ and ‘New’ Testament prophecies and promises of God regarding His desire to ‘dwell’ in our ‘hearts’as He did in Jerusalem’s ‘Temple’ (’naos’) centuries ago. ‘Religion’ now needs to catch up to ’science’, and together they can provide great, harmonious insights into God’s ultimate desires and intentions for the ‘Jerusalem’ ‘Temple in each individual human mind. This is the ‘Temple’ of which the Christ/Messiah intends to be ‘high priest’ (if allowed by us) ‘after the order of Melchizedek’. And that new ‘zakar’/memory-son which is born before ‘Zion’ goes into ‘labor’ (Isaiah 66:7) is the ‘born again’ comprehension and appreciation of the Messiah’s true mission as ‘Jesus’ once described it all to Nicodemus just outside of Jerusalem’s walls. In the USA, one’s public library card number may give one a free online membership access to Hoopla. There are many free YouTube videos on the subject of where was the true location of the former Jerusalem Temple, and these YouTube videos give proof that the present traditional location in Jerusalem is far away from the Temple’s true former location in Jerusalem. It seems strange that as there is a great amount of proof that the present traditional Wailing Wall and the Dome of the Rock location of the Jerusalem Temple is not the true location, that there is never any protests or not anyone ever speaking out regarding making this error known, since the Jews proclaim themselves to be so perfectly honest and so interested in the absolute truth. Below is a YouTube online search for the “true location of Jerusalem temple”. If anyone knows how to contact the Russian Orthodox Church, then please ask the church to request that Russia sponsor and pay for, an international legal lawsuit against Israel regarding Israel’s lies about Israel’s false claim as to the location of the former Jewish Jerusalem Temple. The present Israeli lie about the former Temple location attacks Christianity, as this lie supposedly demonstrates evidence of stones of the former Temple that still remain today, which is contrary to Jesus Christ words that no stone would remain of the Temple. There is plenty of scientific evidence that proves that there is a very different location where the former Jerusalem Temple was located. Russia, I believe is the only large enough entity that will stand up to the lies of Israel, as Russia has demonstrated. The best research documentary book on the true history of Jerusalem’s second temple is the book titled “The Temples that Jerusalem Forgot” by Ernest L Martin. Chapter 24 documents and gives proof that the Jews completely tore down and rebuilt the second temple long before the Romans came to Israel in order to purify the temple, after the temple was desecrated by an invading army. Also chapter 24 documents and gives proof that today’s Temple Mount area is much different today, than it was when the second temple was built, as Mt Zion’s height was lowered in order to help secure the area, and the lose earth from the top of Mt Zion, was used to fill in and to level today’s Temple Mount area.